On her immigration forms to come to America and later to become a naturalized citizen, Rasmieh Odeh swore she had no criminal background. No arrests, no convictions and no prison time. Her attorney says that's not a lie, despite the 10 years she spent in an Israeli prison after being convicted of bombing a Jerusalem grocery store in 1969. In Part 4 of our series examining Odeh's pending immigration fraud case, we see her memory is much clearer when she's among friends. 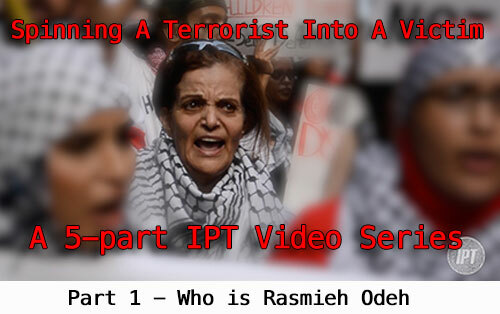 To see part 1, "Who is Rasmieh Odeh?" 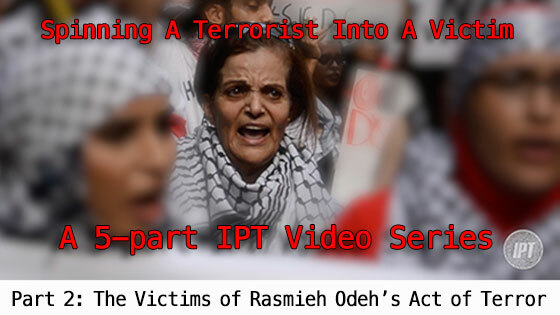 To see Part 2, "Rasmieh Odeh's Victims,"
To see part 3, "From Terrorist to American Citizen" click here. To see part 5, "A Spin Strategy Larger Than Rasmieh Odeh Herself" click here. 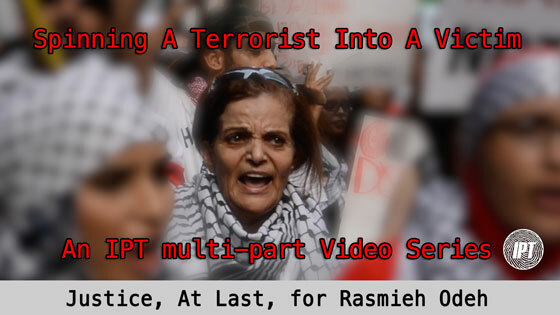 To see part 6, "The Spin Strategy Unravels"
To see part 7, "Justice, At Last, for Rasmieh Odeh"
At this point, the woman is not on trial for murder. She is on trial for making sworn statements that were lies. She has gained from her lying.If found guilty, she should be deported to her beloved Palestine. It seems many people wish to believe lies.Many of the young are brainwashed, poor Rasmieh.Oh please. She and her friends, blew innocent people up. Who cares if she is a woman.Who cares if she is an older citizen? It does surprise and disappoint me,that she got through immigration in the first place. Then citizenship.Who did not do their homework,or did some official overlook the papers on purpose ? From her appearance and remarks,she blames Israel for her actions.Let us not forget,she was just being a good Muslim.And she still is.And she has a lot of supporters in your country.They do not like your government,but love the benefits.We have the same problem here. The West is in trouble. Islam intends to have a world caliphate.Believe me,they will succeed ,if people do not wake up.As it stands at this moment,Islam is taking country after country.What you are seeing in the case of Rasmieh Odeh,is a small dangerous woman,helping ,by subversion and others, to destroy the freedoms of America. Lying on official documents deserves punishment.I hope she gets justice. Rasmieh Odeh's strategy of taqiyyah is evident here. She commits immigration fraud but does not consider herself to be lying because lying in the service of her political agenda is not defined as lying under taqiyyah. It is the same principle underlying the murdering of infidels which is not considered murder under taqiyyah. 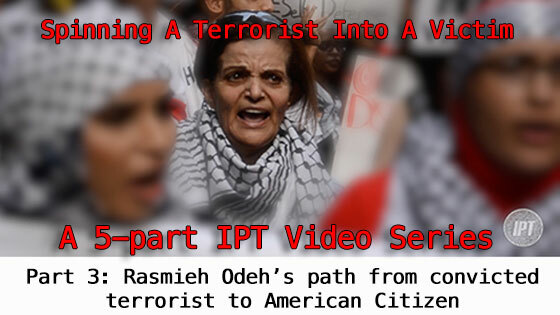 It is the responsibility of the US to expose this travesty, convict Rasmieh Odeh, and deport her. Our entire system of law and order in the US rests on the foundation of language. If we allow a political movement to change the definition of the words we speak such that there exists two languages--one for terrorists and one for ordinary citizens--then we have allowed the terrorists to win. We must insist that murder is murder whether killing a Christian, a Jew, or a Muslim. And we must insist that lying on an immigration application is lying. There can be no taqiyyah allowed in American jurisprudence.